I wasn’t sure what to expect with Lemon Pound Cake because there’s been some, in my opinion, hits and misses when it comes to cake-inspired teas. 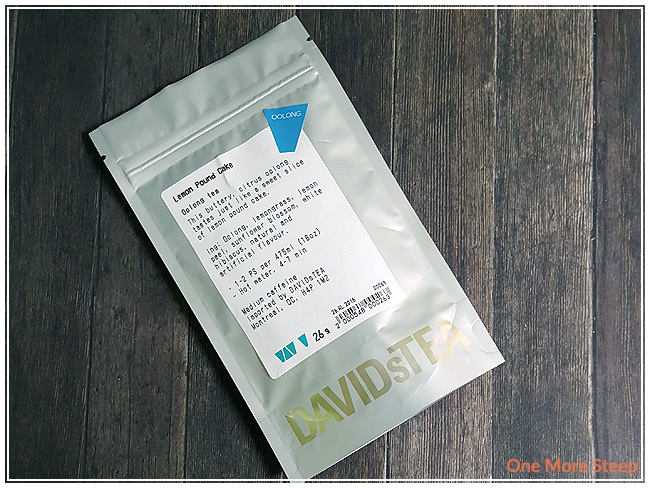 When I smelled Lemon Pound Cake in store, I was intrigued and curious enough to overlook the fact that the last cake-inspired tea I tried from DavidsTea wasn’t that great (Red Velvet Cake, I’m talking about you!). Lemon Pound Cake smells incredible and has a very strong, very fresh smelling lemon fragrance to it. It has that fresh citrus smell that reminds me a lot of zesting a lemon. Just that fresh, bright, lemon scent. I definitely get more of a lemon vibe from this tea than I do a cake vibe, but time will tell! Lemon Pound Cake is made up of: oolong, lemongrass, lemon peel, sunflower blossoms, white hibiscus, natural and artificial flavour. The printed label for this tea just simply says to steep it in hot water for 4-7 minutes. Hot water can mean such a wide range of things, I’m rather disappointed that they’ve done away with including an actual temperature. If you mosey over to the DavidsTea website, and click on the word ‘hot’ when looking up the Lemon Pound Cake tea itself, you do get a temperature range – 75-80°C (167-176°F). I steeped mine for about 4 minutes for the first steeping. Lemon Pound Cake steeps to a very lovely, pale yellow colour. It smells just like the dry leaf – a bright, fresh lemon fragrance that is very inviting and reminds me of a fresh lemon zest, yum! 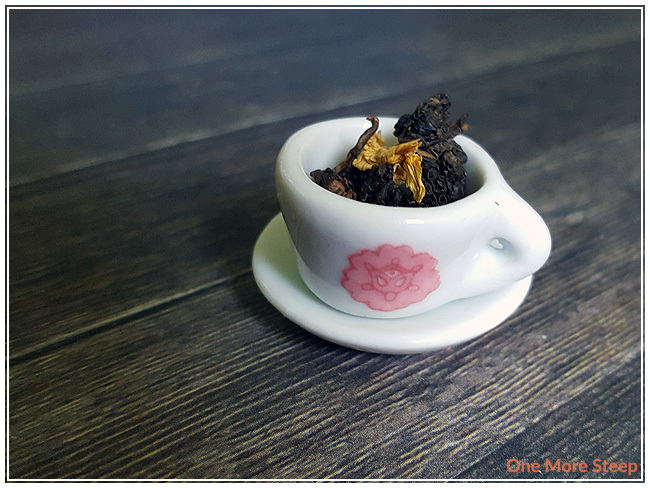 The taste itself is more subtle than the fragrance, but it still has a great lemon flavour to it, with just a hint of the oolong base. 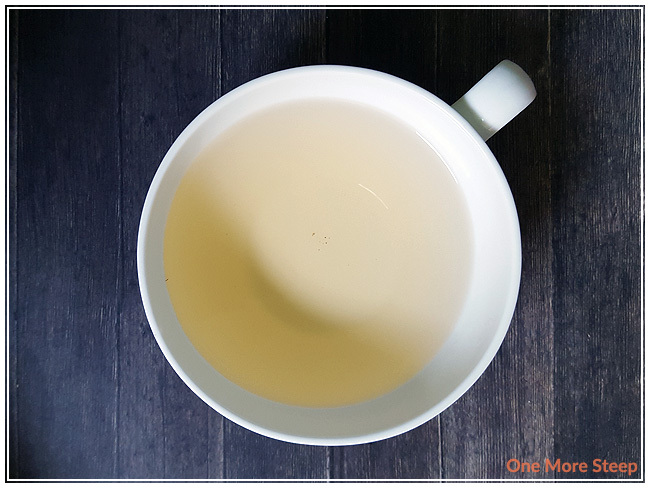 I find that oolongs tend to develop more in flavour with subsequent steepings, so I’m not too concerned that I can’t pick out more of the oolong flavour with the first steep. The lemon flavour though is top notch and is quite nice. 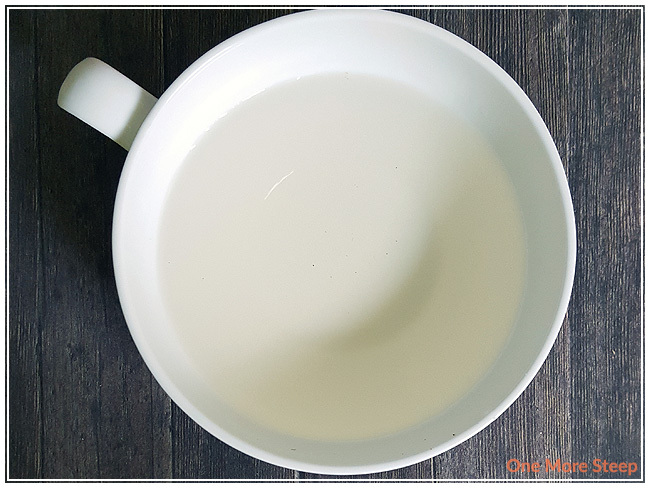 There is a slight sweetness to this tea that is quite enjoyable and doesn’t require additional sweetener to brighten up the flavour. Lemon Pound Cake resteeps beautifully. The colour gets a bit darker, the lemon flavour remains bright and strong. The oolong does, however, make itself known just a little bit more. 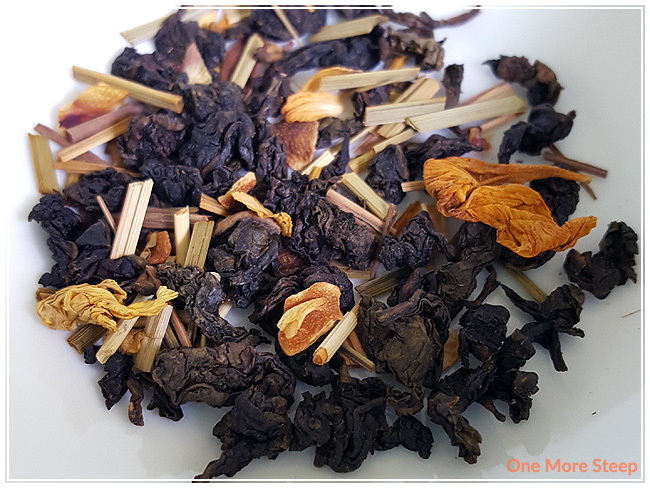 I think it’s just very difficult for the oolong to come out and be more present in the tea because the lemongrass/lemon peel are such strong ingredients in this tea. That said, this makes for a very lovely tea and I think it would taste very well as an iced tea due to the strong lemon flavours. I liked DavidsTea’s Lemon Pound Cake. I think it makes for a very lovely cup of tea, especially with the strong lemon flavours. I definitely think that DavidsTea made a mistake when going from giving an actual temperature in their steeping instructions to just ‘hot water’. “Hot” means a lot of different things, especially when using water that is too hot for certain types of tea will result in a very bitter, very sad cup of tea. Yes, they do include the temperature ranges on their website but that information should remain on their product label. That said, Lemon Pound Cake makes for a tasty cup of lemon tea, I do wish that the oolong wasn’t quite as over powered by the lemon ingredients. But I do think that this tea would make a fantastic iced tea due to it’s strong flavours.